Nine and a half years ago my life literally changed overnight. I went from fully functioning to eventually being house and bed bound and requiring the use of a wheelchair. What happened over the next nine and a half years shaped my understanding of the disconnect between the causes of autoimmune disease and how conventional medicine continues to treat it. During this time I spent thousands of pounds reaching out to alternative medicine, all of which slowly organised the jigsaw pieces for me. My health improved enough for me to embark on my journey to become a Naturopathic Nutritional Therapists. It was from this point onwards that the pieces started to fall into place. The turning point came when I finally understood the true cause of my symptoms, which went beyond my official diagnosis of Fibromyalgia. It turned out that I had autoimmune thyroiditis all along. I hope that the information I share on my page will empower you to realise that you can improve your health with the right support and guidance. Autoimmune diseases represent a group of more than 80 disorders that affect specific target organs. Some of these include the thyroid (Hashimotos), pancreas (type 1 diabetes), or multiple organ system, such as systemic lupus (SLE) to name a few. These conditions share common immunopathogenic factors. These factors all reflect the role that the environment and genetics play in the development of autoimmune disease. Many people believe that genetics alone sets the stage for developing autoimmune disease. This couldn’t be further from the truth. 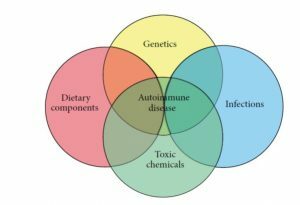 The alarming rate at which autoimmune diseases have increased worldwide since the second World War highlights the fundamental role that environmental factors such as diet, toxicity, lifestyle, stress play in the aetiology of autoimmune diseases. In fact, environmental factors play a much bigger role than genetics in shaping the immune system. It is believed that genetics only account for around 5% of autoimmune diseases, the rest is all down to environmental factors. When looking at the causes of autoimmune disease, we are evaluating how the immune system is responding to environmental agents and how these agents impact genetic expression. Whilst some people might have a genetic predisposition to develop an autoimmune disease, their environment will be the key driver for this development. Long term chronic stress combined with high consumption of gluten and processed foods might be enough for someone with a genetic predisposition to develop an autoimmune disease. 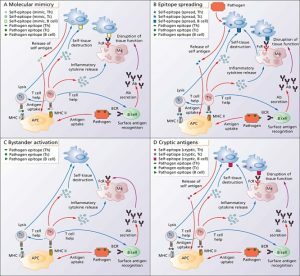 So, what happens to the immune system during autoimmune disease? The activated immune system that is programmed to protect you, is the very reason you end up getting sick. At some point over the course of your life your immune system becomes imbalanced. So much so, that your immune system starts to turn on itself to attack its own tissues. This is the million-dollar question and for every person the reason will be different. For some the catalyst to developing Rheumatoid Arthritis might be smoking, especially in the presence of anti-citrullinated protein antibodies (ACPA). For Hashimotos might be the result of leaky gut coupled with a diet high in gluten. In my case it was a combination of a really bad diet (highly processed and very high in sugar), smoking, various viral infections, various gut infections, leaky gut and high levels of stress (physical and emotional), unhealthy lifestyle choices and a disastrous set of genes. When autoimmune disease was first recognised, it was believed that it developed out of a viral/bacterial infection. The connection between infection and development of autoimmune disease was explained by a process known as ‘molecular mimicry’. Molecular mimicry describes a condition where the protein structures of certain bacteria, viruses, food and other antigens are similar to the protein structures in the human body. This means that when the immune system attacks these bacterial/viral proteins, it ends up attacking the body by accident. Molecular mimicry is the current hypothesis of how viral antigens initiate and maintain autoimmune responses . 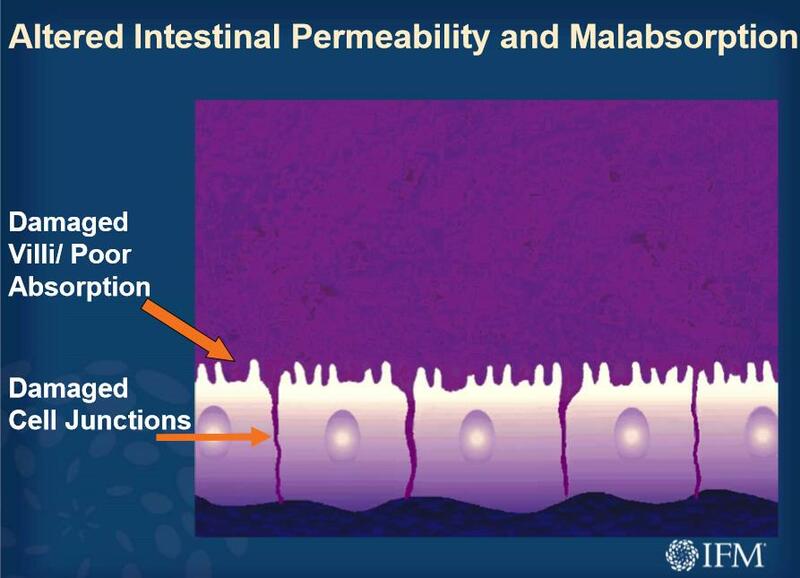 What is important to understand is that this is usually preceded by an infection and/or leaky gut. The cross reactivity of gluten has only fairly recently been documented. Gluten has long been known to produce coeliac disease. It is now believed that the protein in gluten, Gliadin, is destroying more than just the epithelial cells of the intestines. In fact, it has been suggested that antibodies to gluten may be attacking other tissues throughout the body. The same is said for casein, the protein in dairy. Removing gluten and dairy has been found to bring significant symptom relief for people with autoimmune disease, whilst also reducing their autoimmune antibodies. The most accurate way to diagnose autoimmune disease is through a blood test. A really important point to stress is that autoantibodies can be present for quite a few years before an official diagnosis is made. One study found that in 115 of 130 patients with Lupus, at least one antinuclear antibody was present long before the diagnosis. The longest was 9.4 years prior to the diagnosis and the average was 3.3 years. The same can be said for rheumatoid arthritis antibodies, which on average was present 9 years prior to the onset of symptoms. This rings very true for my own experience with Hashimotos and also that of my mother’s Systemic Lupus (SLE). My thyroid blood markers (TSH and T4) are still classed as ‘normal’ nine years after presenting with very definitive autoimmune tyroiditis symptoms. Sadly, I just didn’t get the right support and it was only a few years ago through the use of functional lab test that I realised that my Thyroid Peroxidase Antibodies (TPO) were 507. This is something I see very frequently in clinic. Clients presenting with under active thyroid symptoms, yet they are told that their thyroid markers are within range. Conventional medicine direct their attention to the particular gland or organ affected. For many people with multiple autoimmune conditions this involves seeing various specialist. This can be incredibly challenging and frustrating as every specialist might prescribe medication specific to each of the affected organs. Unfortunately, this approach doesn’t address the root cause and as a result many people with autoimmune disease don’t see improvements in their health. My mother, who has Hashimotos, Systemic Lupus, Sjogren’s, Rheumatoid Arthritis and Fibromyalgia (hence my disastrous set of genes), is a good example of how each of these conditions have been treated separately. Not once has anyone tried to investigate or address the root cause. The end result for her was a cocktail of medications and a downward spiral in health. Autoimmune disease is usually managed through medication that suppress the immune system in order to prevent an attack on self. The medication is actually really effective at reducing some of the symptoms of the disease. Unfortunately, it works by suppressing the entire immune function. Furthermore, it comes with a whole host of unpleasant side effects such as fatigue, weight gain and increased rate of infection to name a few. Functional Medicine is the best place to start if you have an autoimmune condition. In fact, if you suspect you may have a problem with your thyroid, I would recommend that you run a private functional test to rule out the presence of thyroid antibodies. This can potentially change your future health outcomes. Once the diagnosis is made, the focus is on supporting the immune system. This is achieved by addressing the underlying factors/root cause(s) that dysregulated the immune system in the first instance. Many people believe that the use of vitamin C or methylated b-vitamins are sufficient support, but sadly, this is yet again just ‘lifejacket’ medicine, which doesn’t address the root cause. Unravelling autoimmune diseases can be challenging as it is often very complex in nature. This means that it is not something we can ‘fix’ overnight. The good news is that with the right support and guidance, you can strengthen the immune system. Thereby reducing or reversing the autoantibodies and symptoms. When we consider that autoimmune diseases are the third leading cause for morbidity and mortality in the industrialised world, it is really important that we change the way we ‘treat’ this group of diseases. I like to start by focussing on some of the key underlying causes involved in the pathogenesis of autoimmune disease. I am sharing only five key areas that I see in my clinic, but there are many others. Mitochondria are the powerhouses of the cell. The food that we eat enables the mitochondria to produce energy in the form of adenosine triphosphate (ATP). Mitochondria also store the molecules that mediate apoptosis, a process known as ‘programmed cell death’. 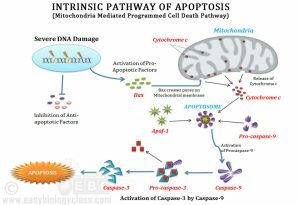 Apoptosis is an important mechanism by which the body can regulate optimal cell function and health. It is not exactly clear what signals for apoptosis, but it is thought that the percentage of dysfunctional mitochondria and the total ATP level in the cell relative to its demand play a key role. Excessive or inappropriate apoptosis can lead to autoimmune disease. The role of optimising mitochondrial health and function is pivotal in ensuring this really fine balance between inappropriate or excessive apoptosis. The quality of our mitochondria is one of the single most important factors in ageing and degenerative disease, such as autoimmune disease. Mitochondrial therapy can help to restore and regenerate the mitochondria, which in turn can help to improve immune function. Gut health is the cornerstone of good health. 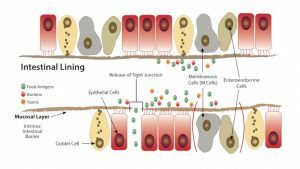 In my post about ‘Leaky Gut’, I explain how damage to the tight junctions can lead to toxins and particles escaping into the blood stream, pushing the immune system into overdrive. When the gut is ‘leaky’ this onslaught is constant, eventually leading to an immune system that’s gone rogue, attacking its own tissues by mistake. Leaky gut is an early biological change that often proceeds the onset of autoimmune disease. It is estimated that leaky gut is present in all autoimmune conditions. It is therefore possible to arrest the autoimmune process through re-establishing intestinal barrier function. Gliadin, the protein in gluten, has been shown to directly impact leaky gut. It does this by triggering the release of the protein Zonulin in your intestines. Zonulin instructs your tight junctions to open wider, leading to toxins and particles entering into the bloodstream. The research of Alessio Fessano considers the role that gluten plays in leaky gut. Fessano also highlights the involvement of molecular mimicry in autoimmune disease. As already explained, molecular mimicry seems to play a factor in the progression of autoimmune disease, and especially in Hashimotos. The chemical structure of gliadin, the protein in gluten, has a very similar chemical structure to that of the thyroid cells. This can lead to the body attacking its own tissues instead of gluten. The same can be said for casein, the protein in dairy. Food is definitely one of the first places to address in autoimmune disease. Stress appears to be a word that defines life in the 21stcentury. Something that the majority of us struggle to escape. What once was a sabre tooth tiger has now become a daily onslaught of events ranging from diets high in inflammatory foods, sleep deprivation, leaky gut, exposure to toxins, mould, not enough time in the day and the bombardment of social media. Physical stress (too much or too little exercise) and emotional stress are all big factors. Stress-related disease is on the rise and the reason for this is that stress directly impacts the way the immune system functions. Our bodies are hardwired to respond to short term stress and does this with very little negative long-term implications to our health. The problem is that this type of stress has become chronic stress, a daily occurrence for the majority of us. This directly impacts immune function, thereby creating autoimmune disease. Another classical theory on the development of autoimmune disease is the ‘bystander effect’. The bystander effect is similar to molecular mimicry, but involves a microorganism (viral, bacterial, fungal, etc.). The theory is that the infection damages one’s own body tissues, thereby exposing the immune system to self-antigens. When the immune system mounts a reaction to the infection, it triggers inflammation. This then creates the perfect environment to birth autoimmune disease or worsens existing autoimmune disease. Ongoing pro-inflammatory responses to infections have been associated with the initiation and exacerbation of autoimmune diseases. Viral infections such as Epstein Bar, Herpes Simplex Virus 1 and 2 have all been implicated with the development of autoimmune diseases. Eradication of the infection will eliminate or significantly reduce the autoimmune attack. One of many reasons why using functional testing is so important. In my own experience with improving my Hashimotos and working with clients with autoimmune diseases, I feel that functional lab tests play a pivotal role. Testing enables you to go upstream and find the source of your problems. I use a range of different functional test, dependant on each clients’ presenting symptoms and history. These include Heart Rate Variability testing, blood tests, stool test, hormone testing, heavy metal toxicity, antibody testing, specific thyroid or adrenal test and more. I then use a range of dietary interventions, mitochondrial therapy, nutritional supplements and lifestyle medicine to address the underlying factors to provide symptom relief and improve overall health. If you are suffering from an autoimmune disease, don’t keep floating downstream. Instead book an appointment so we can move upstream to get to the source of your autoimmune disease.